Ok I want to preface this post by stating that I do know that not all of the animals I'm about to spotlight are carnivores, but the title was just too alluring for me to consider that. So now that I've clarified my comprehension of elementary level education, let's begin. Yesterday, in my stumbles around the interwebs, I fell into this radical Etsy shop (quite the imagery, no?) In truth, I was on half a search for desk top accessories and this could not have fit the agenda better. And today I want to share it with YOU GUYS! 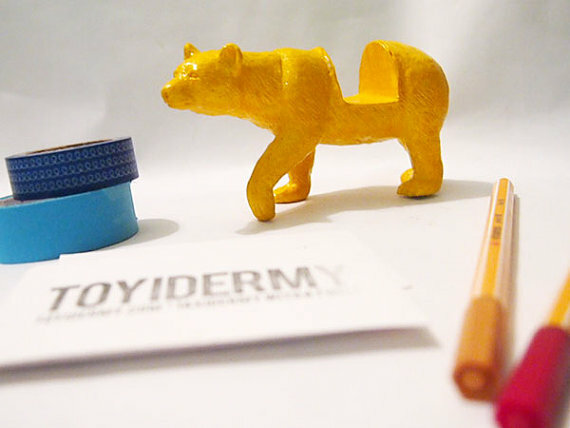 Therefore, ladies and gentlemen of the internet, may I present: TOYIDERMY. Quite the befitting name if I do say so myself! 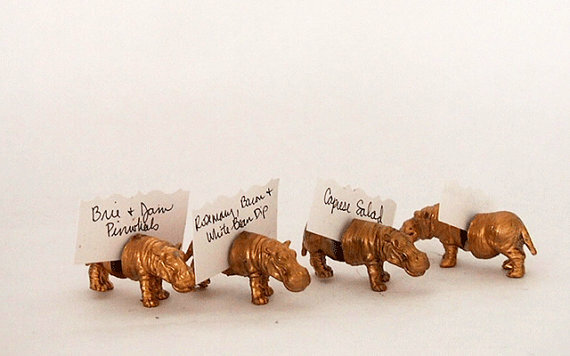 The shop owner, Kelly M., makes these unique and FUN toy-inspired items to serve as functional items. 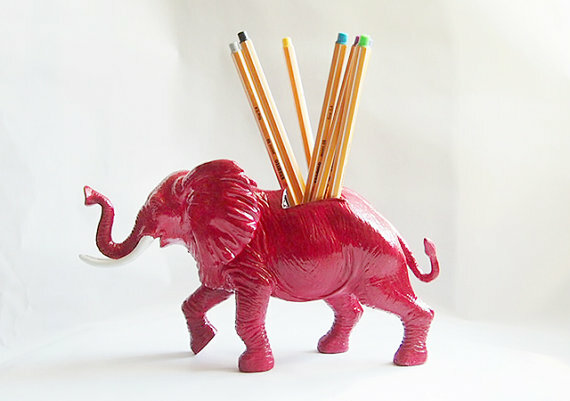 These functional items (available in an assortment of custom colors) range from Business Card Holders, Place Card Holders, Pencil Holders and Wine Stoppers and more. Someone on Wall Street NEEDS to have this as their business card holder. And there are many more where these came from. 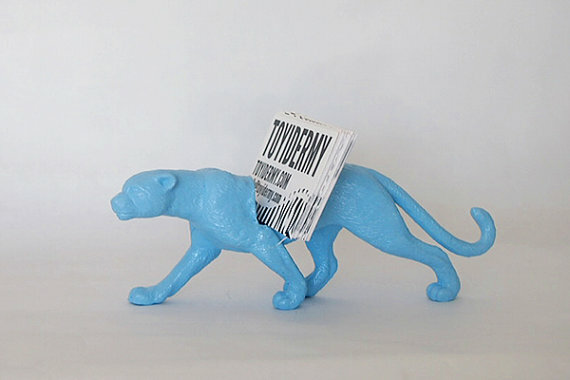 Check out the other animals, colorways and items at the "TOYIDERMY: GETS ME EVERY TIME" Shop. I will be purchasing at least one of the business card holders for myself (leaning toward the wildcat in gold) but really, how does one decide with all of these fantastical options?! The biggest upshot to all of this however, is that animal rights activists can now participate in the joy of displaying animals within their home. SCORE! In the spirit of animal jokes, I say to you all: Happy Hump Day!